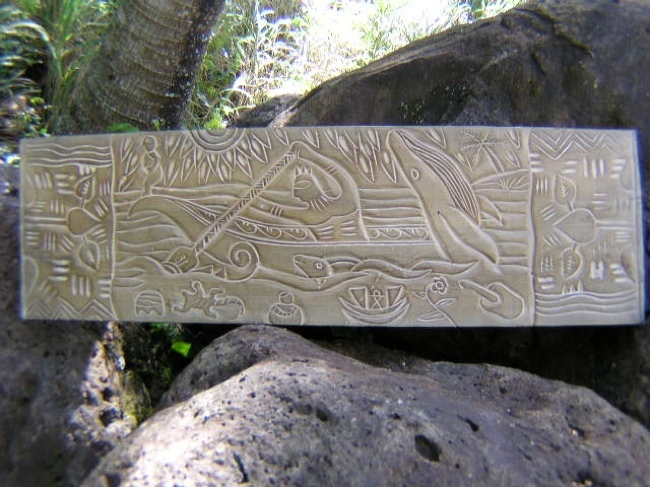 Here is a hand carved wooden relief depicting a Hawaiian scene with Hawaiian canoe a whale surging out of the water and powerfull symbolisms all around it. The details are absolutely vibrant! The relief measures 36 inches by 12 inches by 1 inch thick (100 cm X 34 cm X 3 cm). Great gift idea and home decoration!